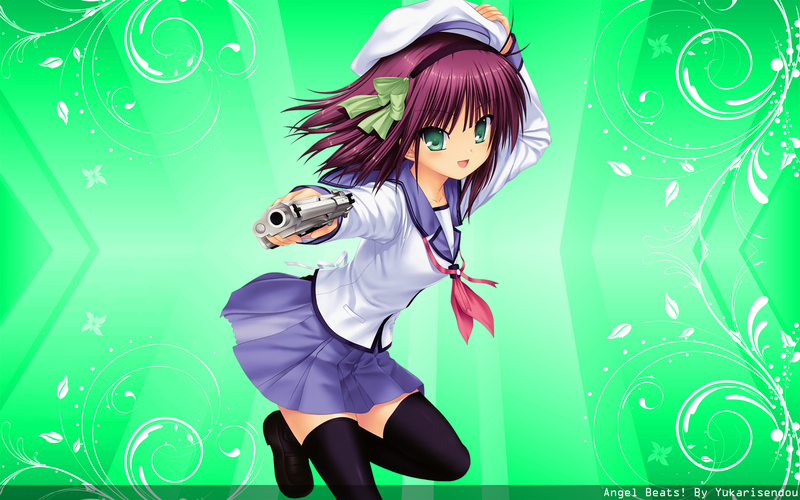 This is another wallpaper of Yuripe from Angel Beats! It took me several times to finished it. I used brush tools, gradient and blending effects for its background. Floral brush looks good on it. For the color it is dominant with green. Great interpretation ... I love the colors! It's a bright wallpaper with a lot of colors. Really nice, she goes well on the green background.